The Silolona in the “gumdrop islands” of Wayag, as seen from our climb to the top of one of the islands. All photos by Claudia Pellarini / Silolona. 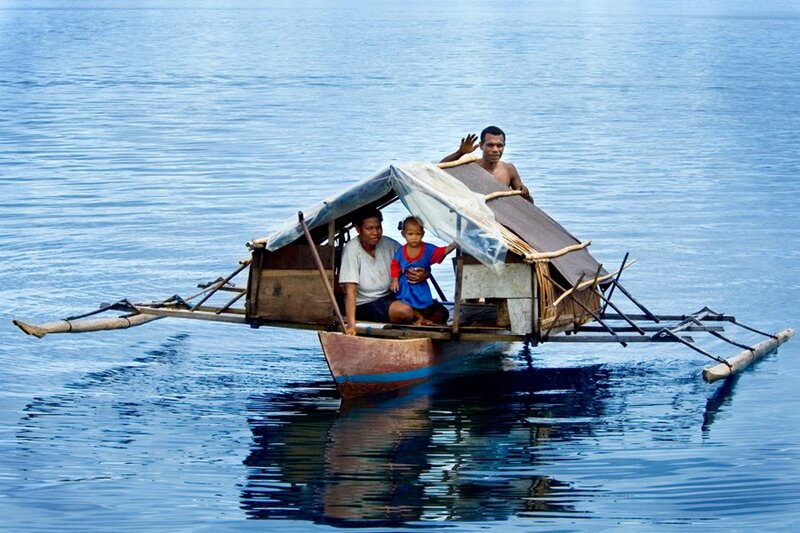 What do you do on a small and elegant yacht in Indonesia? 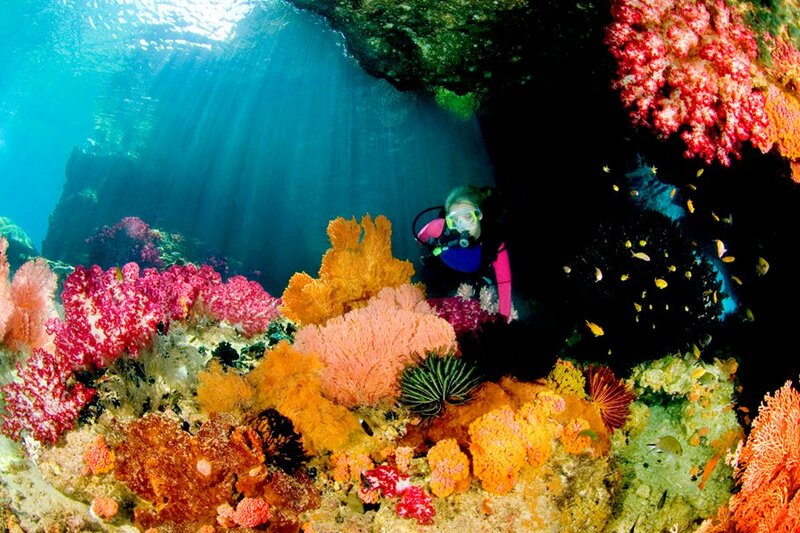 Dive, relax, eat, and repeat. 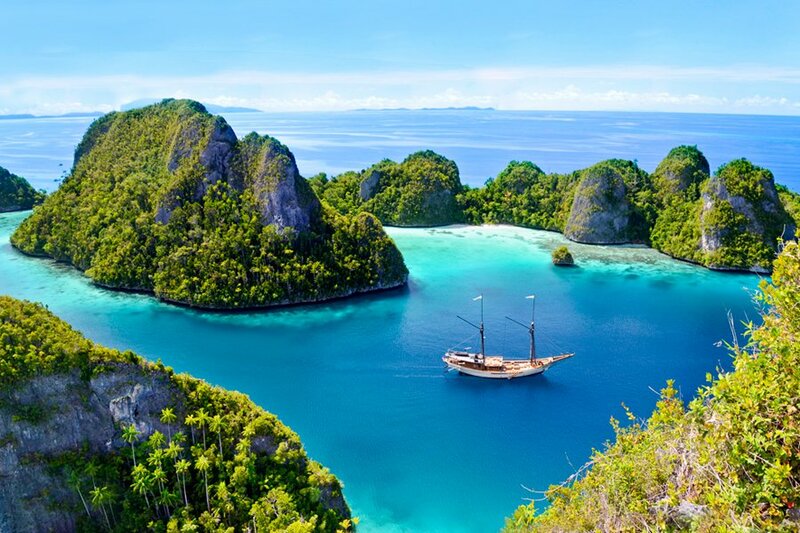 RAJA AMPAT, Indonesia – In ten years as a travel journalist, I've been blessed with many "trips of a lifetime," but the nine days I spent aboard the Silolona in the waters around eastern Indonesia earlier this year really was one of the most fantastic, memorable trips of my life: exotic, illuminating, endlessly cossetting, and deeply relaxing. 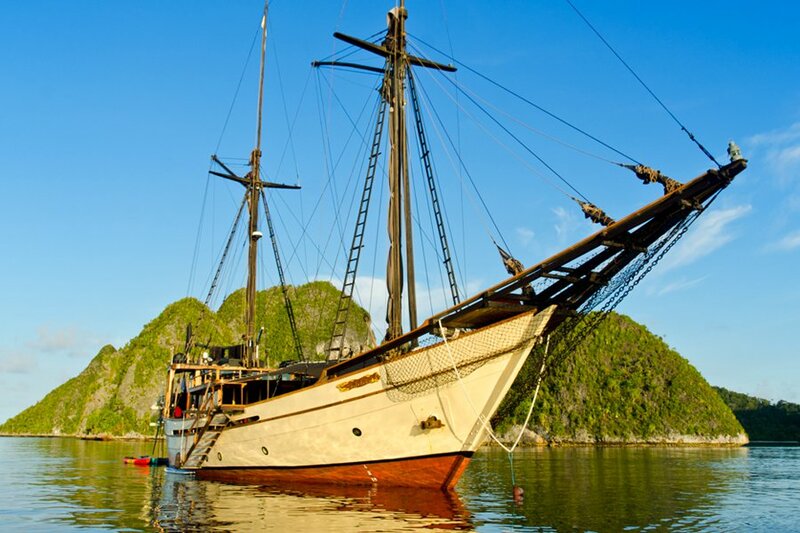 A 164-foot, five-cabin teak yacht modeled on a traditional phinisi (an Indonesian sailing ship) and built almost entirely by hand, the Silolona plies the waters of Indonesia, Thailand, and Myanmar. She's the passion project of Patti Seery, an American expat who's lived in Indonesia nearly three decades and considers it her spiritual home. She acts as cruise director on many charters, educating guests about the islands, translating, and winning over locals. 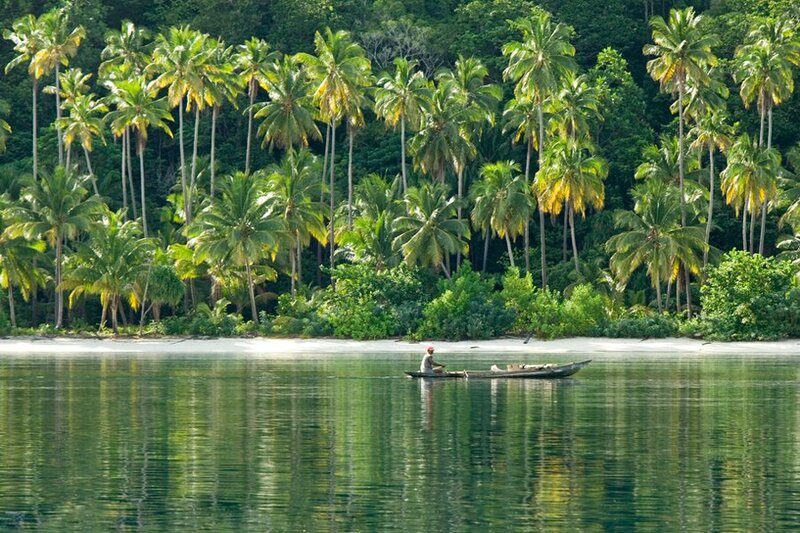 When we rolled up on a tiny island, she started talking to fishermen and, next thing I knew, they were climbing palm trees to collect coconuts and machete off the tops for us to drink the water. 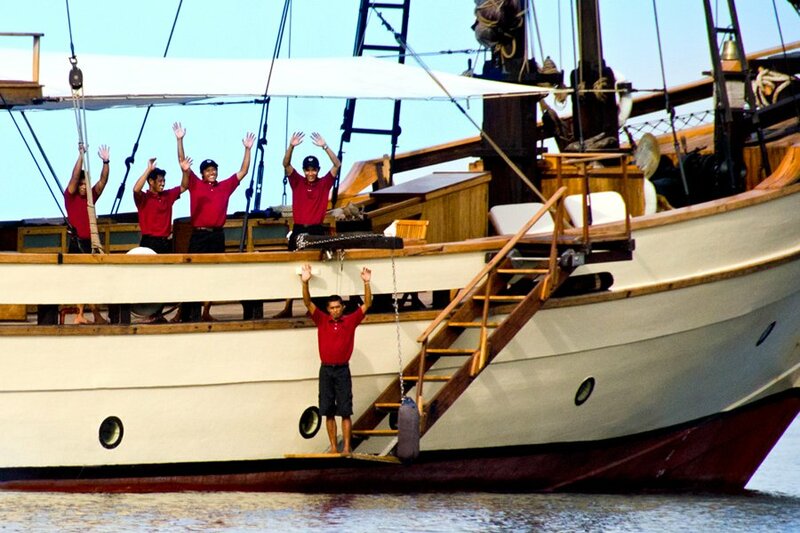 Her enthusiasm is infectious, and it's matched by that of her tireless 17-man crew, who made the voyage truly spectacular. They danced as we crossed the equator, played guitars and sang at every opportunity, and never stopped smiling. The trip was extra meaningful for me because after years "discover scuba" dives (you know, the basic, shallow-depth, hold-the-dive-master's-hand dives resorts sometimes offer to novices), I used the cruise as an occasion to finally get my PADI certification. 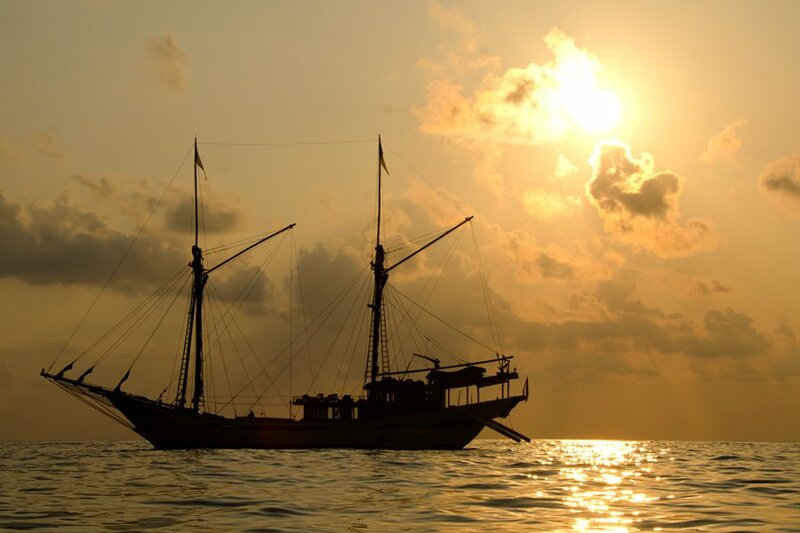 After all, we were sailing through Raja Ampat, widely regarded as one of the best dive sites in the world. Although I could have done everything on board, I finished the drudgery at home at a YMCW pool in New York City and did my open-water dives in Indonesia. That meant I got to spend a lot of time with resident dive master Goris, a sort of elder statesman of the crew — he helped build the boat 13 years ago — with a wicked sense of humor and endless patience. 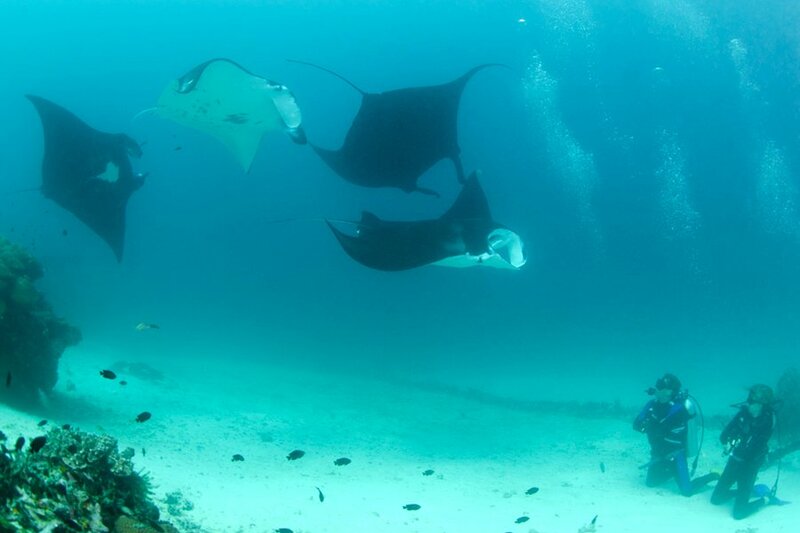 I did my last test dive with five-meter manta rays swimming overhead. I am forever spoiled. Behold the Silolona. 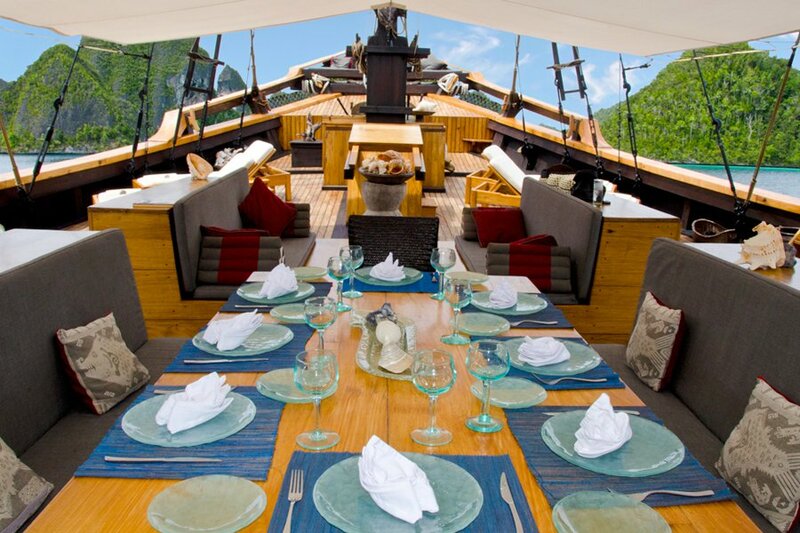 The 164-foot craft is romantic and lovingly made, a decadent home base for exploring the islands of Indonesia, such as Wayag in the Raja Ampat region of Indonesia. 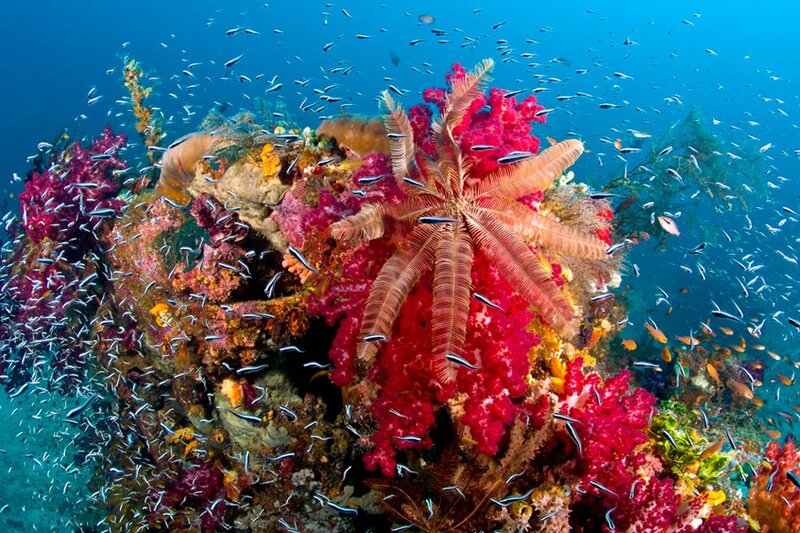 Raja Ampat has the richest coral reefs and highest recorded marine biodiversity on the planet. The sea life here is more spectacular than anything I saw in Dubai's best-aquarium-money-can-buy during my layover to Indonesia. The Silolona's outdoor dining room set up for lunch. Meals are a highlight, thanks to a skilled chef who somehow prepares everything from flaky croissants to tom yum soup in a tiny galley kitchen. The crew welcoming us back after an excursion. They did this every time we cruised off or came back on the tenders — then met us on deck with cool towels and fresh-squeezed juices. Life on the sparsely populated islands is virtually unaffected by tourism. The white sand and thick palms are untouched, too. 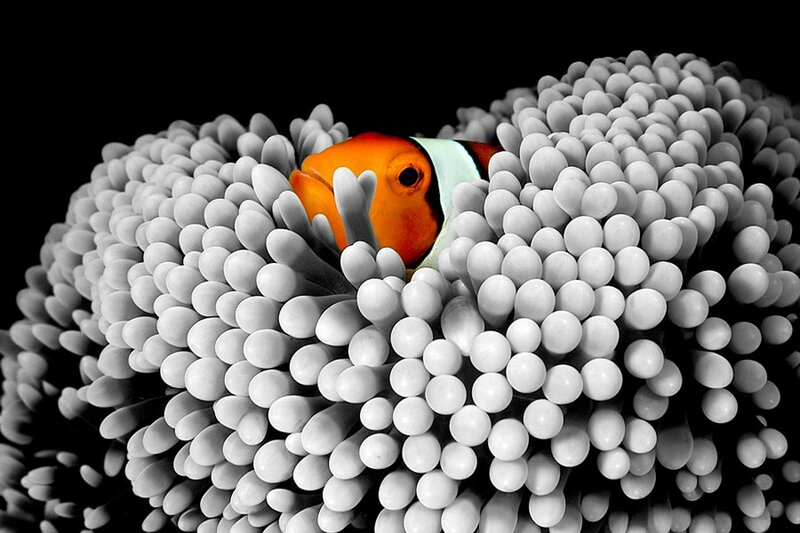 Technicolor clownfish nesting in anemonies are one of the more adorable sights. 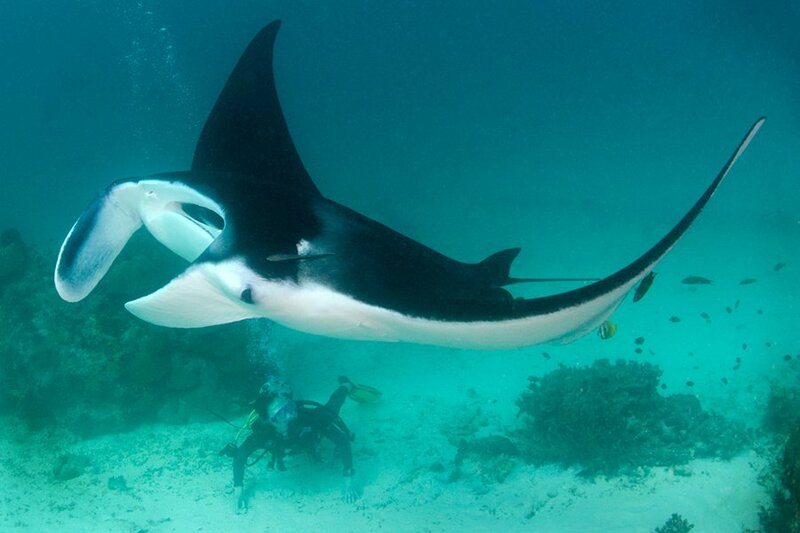 Diving at the aptly named Manta Sandy, where the creatures can have five-meter wingspans. My last open water dive for my PADI certification — where can I possibly go from here? 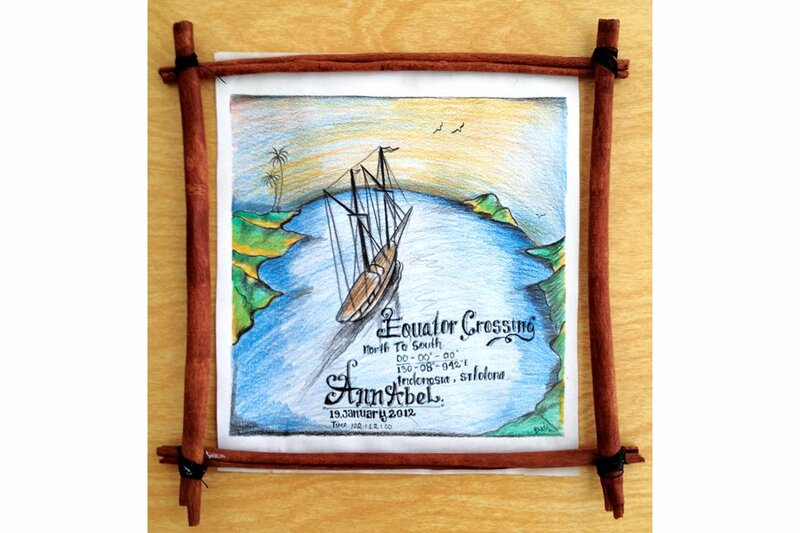 A drawing by crew member Gede, one of the handmade treasures left on our beds each evening. The Silolona looking stately at sunset. is primarily available for private charters, but more weeks where you can book a single cabin are in the works. Trips begin at several points in Indonesia, but the best international gateways are Jakarta and Denpasar, which are served by many airlines. For more info and to book, [email protected]. All photographs are courtesy of Ann's sailing companions, Claudia Pellarini and Leon Joubert, dive masters and underwater photographers whose work can be seen at . Ann is a travel writer and editor based in New York. When she isn’t traveling, she’s learning to fly at Trapeze School New York. She travels for the opportunities to climb up, jump off, and dive into things.